Nancy Suhadolnik of Strongsville, Ohio, votes in early voting Tuesday, Oct. 4, 2011, in Cleveland. The debate over Question 1 boils down to a clash between facts and fears. The facts favor repealing the law that ended same-day voter registration, which is why a yes vote is both responsible and right. For nearly 40 years, Maine allowed same-day voter registration. Not only did the law not leave a trail of widespread voter fraud, as opponents of same-day registration have suggested, but it achieved something of vital importance to a functioning democratic system of governing. Maine consistently tops or nearly tops the list of states for percentage of voter turnout. In last November’s election, Maine ranked No. 1 in voter participation. This engaged electorate means Mainers take ownership of the government they elect. They follow its workings more closely than those who don’t vote. They care about their communities, their state and their country. And because they care, they are better citizens, more likely to volunteer or even run for office. The arguments for changing the same-day registration system are not absurd. It is reasonable, after all, to expect people who value their citizenship to find time to register in the 11-plus months before Election Day (although special elections in June often take voters by surprise). And Maine’s conscientious municipal clerks, who are sticklers for accuracy, typically are overworked on voting day and the day before and after, so giving them more time to process new voters seems fair. But this reflects an ideal, not reality. Voters often show up at their polling place to find that even though they’ve lived in town for 10 years, they’ve been inexplicably purged from the rolls. If the law is not repealed, they would not be able to vote (though they would be allowed a provisional ballot). Far more people work two or more jobs, live in rental housing and often move, struggle to find transportation and barely find time on Election Day to cast their ballot. Asking them to also register in advance — because they’ve moved from East Machias to Machias, for example — will affect their access to voting. In rural areas, clerks often work out of their homes and may have just a few office hours a week to register new voters. In these rural towns, the elderly and lower-income people are likely to forgo voting if they can’t make it a one-stop event. Referenda should be judged on their impact, not on the motives of those who propose them. 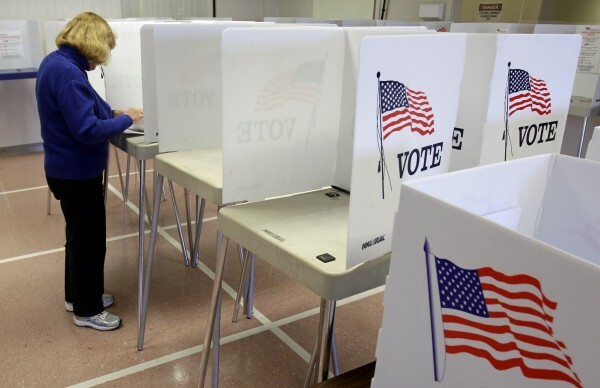 But the fact that laws restricting the ease of voting have been proposed across the nation by new Republican majorities should raise Mainers’ eyebrows. What is going on here? The simple answer is the law change is part of a political agenda. Republican strategists believe Barack Obama’s election in 2008 came in part because his supporters succeeded in registering young adults and those of ethnic minorities who otherwise would not have voted. That’s why Maine GOP Chairman Charlie Webster has focused obsessively on college students in his unsuccessful effort to root out fraud. The facts, though, conflict with this national agenda. In 2008, about 50,000 Mainers registered on Election Day. Almost half (22,210) were unenrolled (that is, did not choose a party), 13,910 registered as Democrats, 5,452 signed up as Republicans and 3,985 chose the Green Independent Party as their affiliation. So Maine’s independent voters, whose electoral power is a source of pride for many of us, would be most affected by the new law. Fears of fraud and fears of effective Democratic organizers affecting a national election should be trumped by the facts here in Maine. Soon an effective electronic system will make registering easier and at the same time reduce vulnerability to fraud. And while the people’s veto isn’t the best way to legislate, Maine’s election law needs to be returned to its highly functioning status. Vote yes on Question 1.